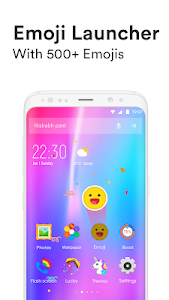 Personalise your home screen with Emoji Launcher and enjoy the ever popular emoji style! 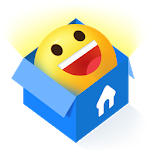 Emoji Launcher provides trending emojis & stickers, themes, HD wallpapers and call screen themes. 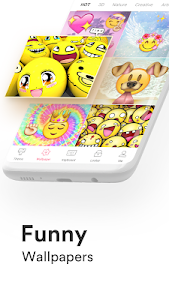 ✔️Cute emojis, GIFs - Share and have fun with your friends. ✔️Stylish themes - Each icon a unique emoji face, give your phone a brand new emoji look. ✔️Beautiful wallpapers - Get your phone an amazing background. 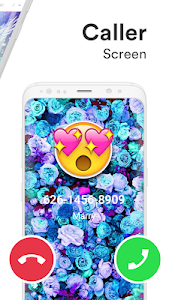 ✔️Gorgeous caller screen - Personalise the incoming call screen. ✔️3D transition effects - Cool dynamic effects while switching between screens. - Smart Folder: Smartly sort apps into folders and rearrange your home screen. - Hide private apps from home screen and lock up important apps. - Online Games: have fun with 20+ H5 games! ?Join us and find your own home screen style! Please be noticed that this launcher app will change your default home screen, and it can be cleared in system settings. The search bar is also new, and we use Google as the search engine in the app. 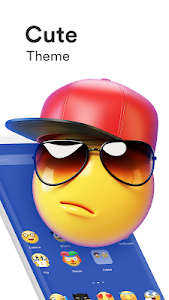 Similar to "Emoji Launcher - Stickers & Themes"